Meet our current team of writers! I've wrote for WALL since I was around 16 years old and started my journey into Journalism. After working for some fantastic websites to gain more experience I was offered the role of Editor by Andy in September 2015. I'm now co-owner of the site with my father Keith and cannot believe how well the site is doing. We have all our fantastic readers to thank for this opportunity and hope that you enjoy our work just as much as we enjoy writing it. ​Leeds fan of 37 years and followed them through the good and the bad. Proud to call myself a Leeds United fan. 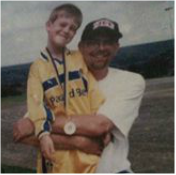 ​Keith is the brain behind some of our best content, including Diary of a Leeds fan and Leeds United in Pictures. Life long Leeds fan and regular to games, father of 3 beautiful girls - the older two already have the "bug" and join me in the kop. MOT! Andy left WALL in the hands of Keith and Ryan back in September '15 to focus on getting his teaching degree, we wish him the best of luck. 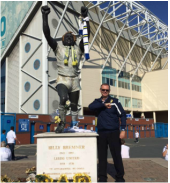 "Happily pessimistic until we're back to reality"
In partnership with We All Love Leeds, Brendan contributes with some fantastic match reports for the Leeds Ladies fixtures.